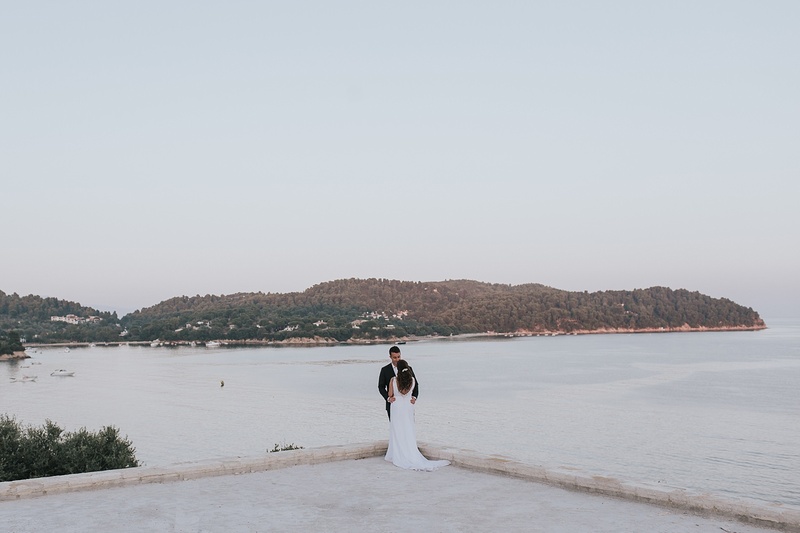 This time last year I was in Skiathos, one of the lesser known Greek Islands, to photograph Tash and Dimitri’s stunning Greek wedding. 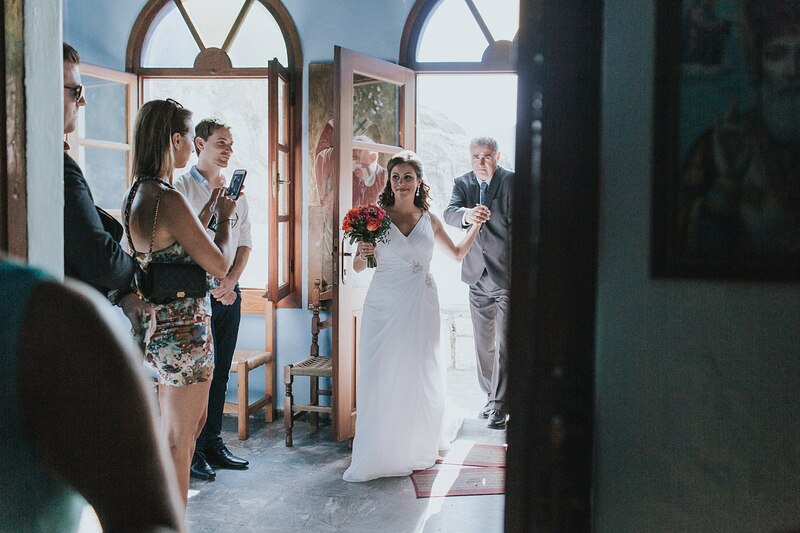 Tash and I had met almost five years earlier on a Contiki tour (back when they were cool!) 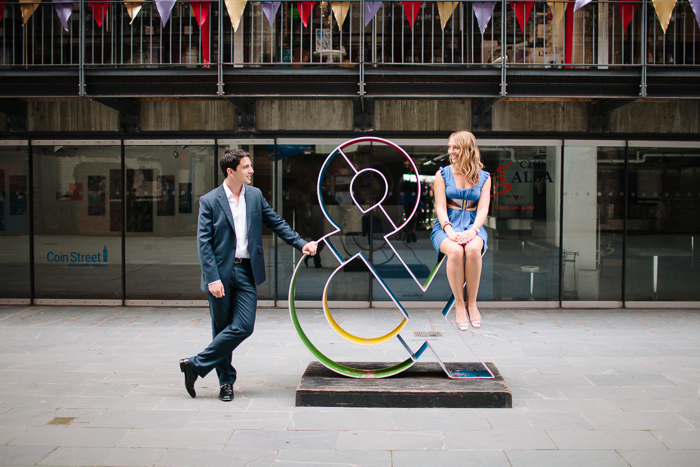 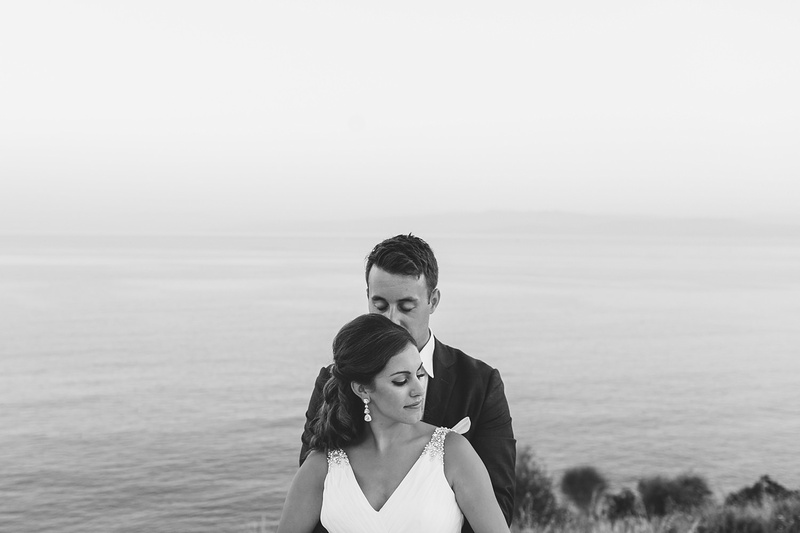 and you can imagine how humbled I was when she reached out to ask if I would photograph their destination wedding. 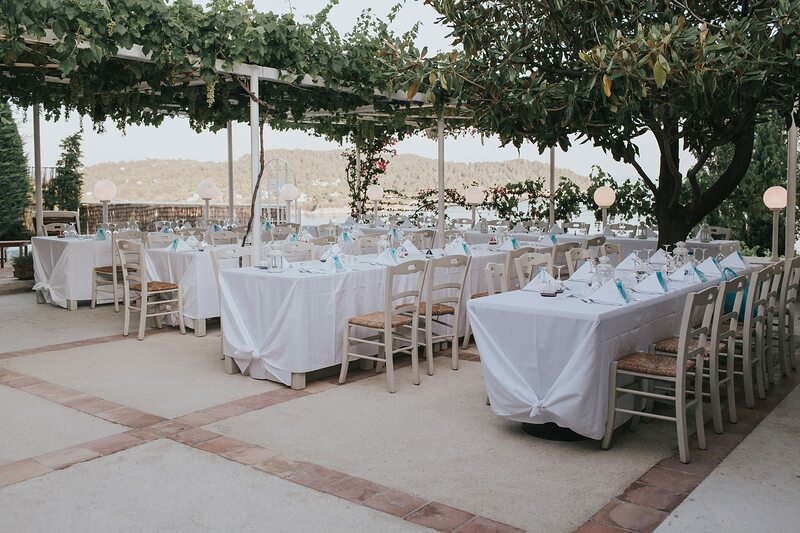 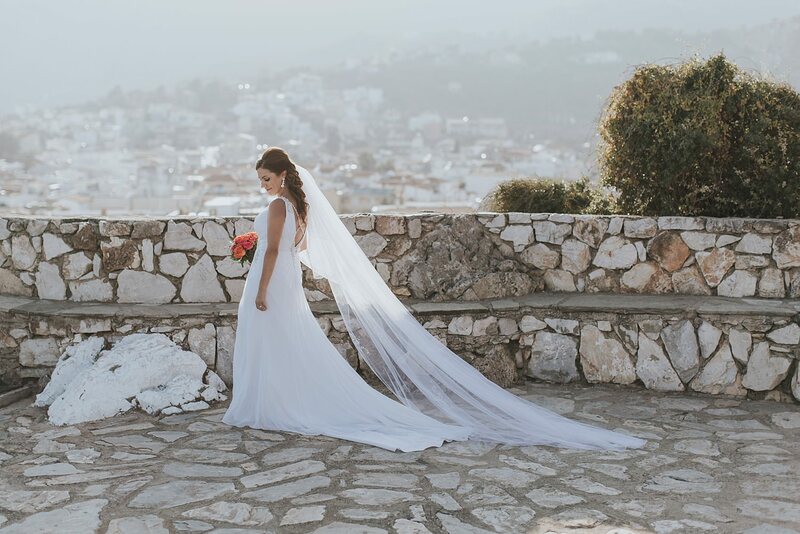 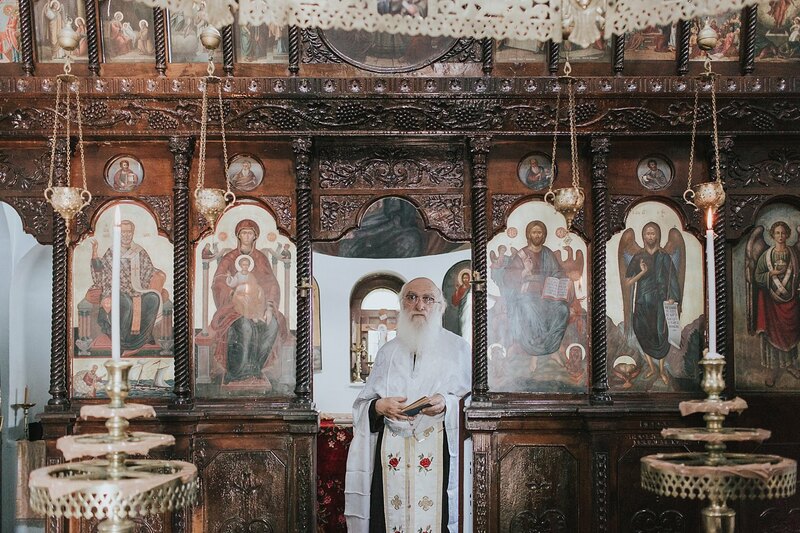 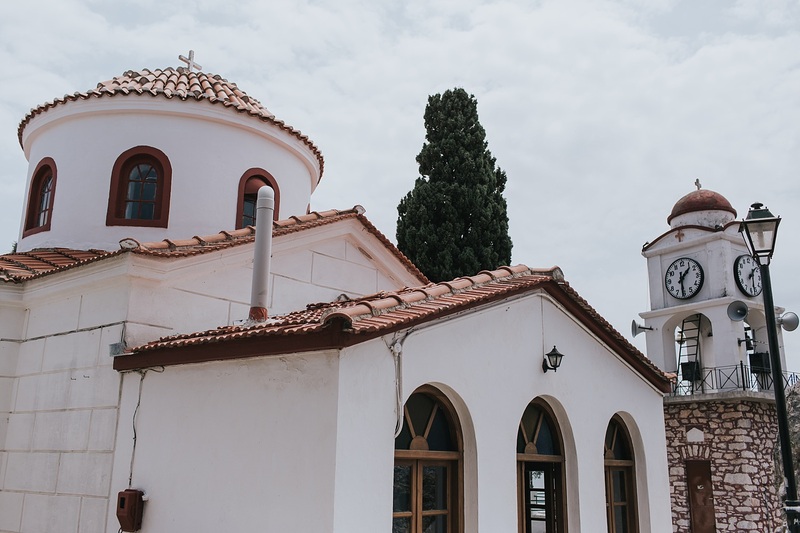 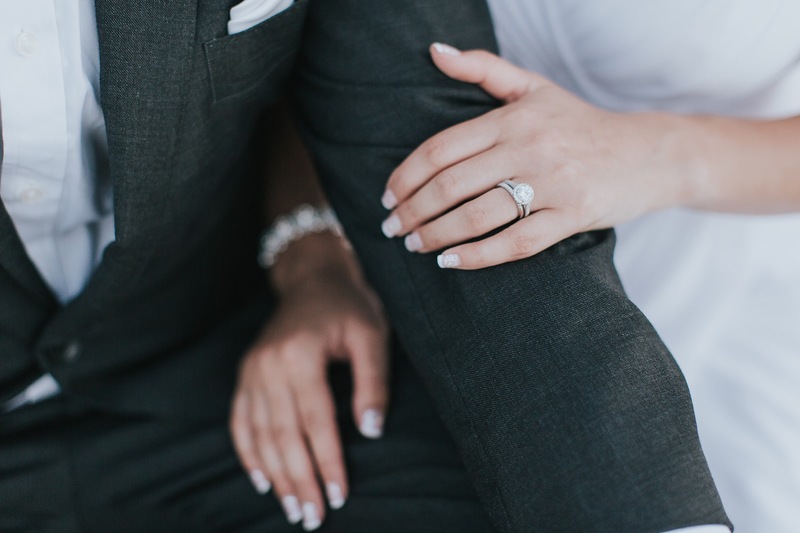 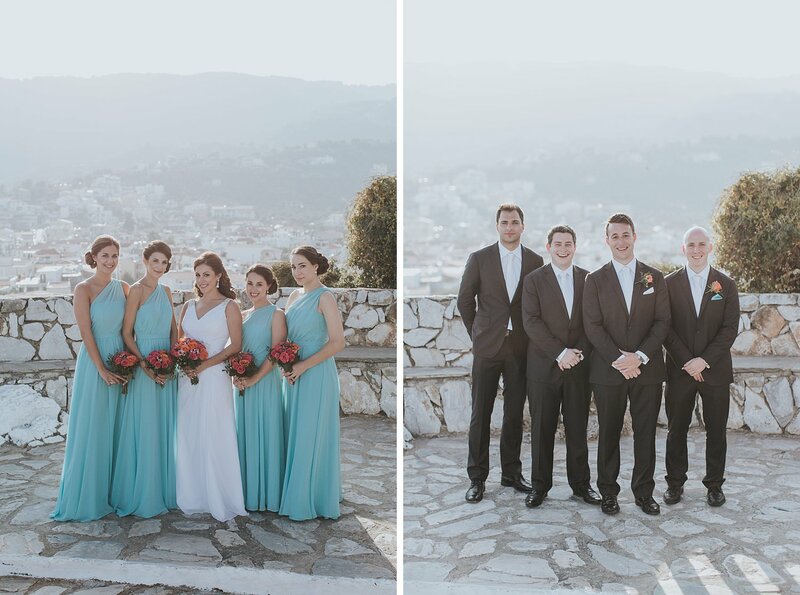 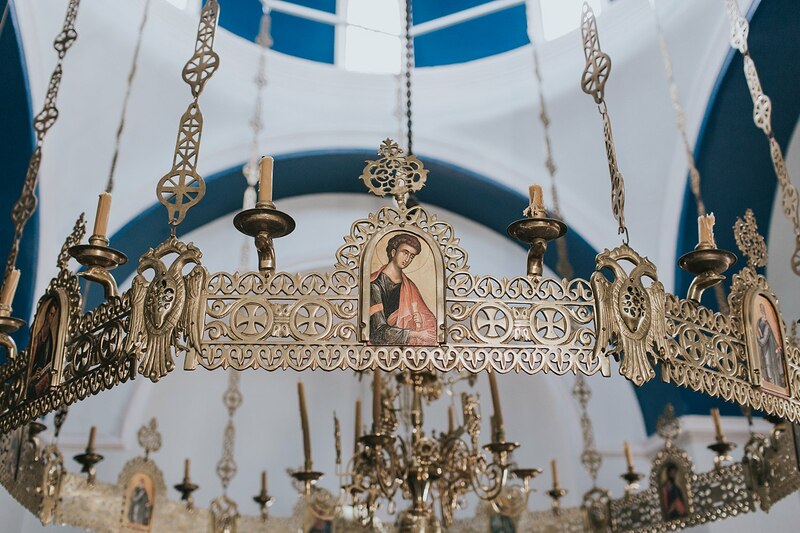 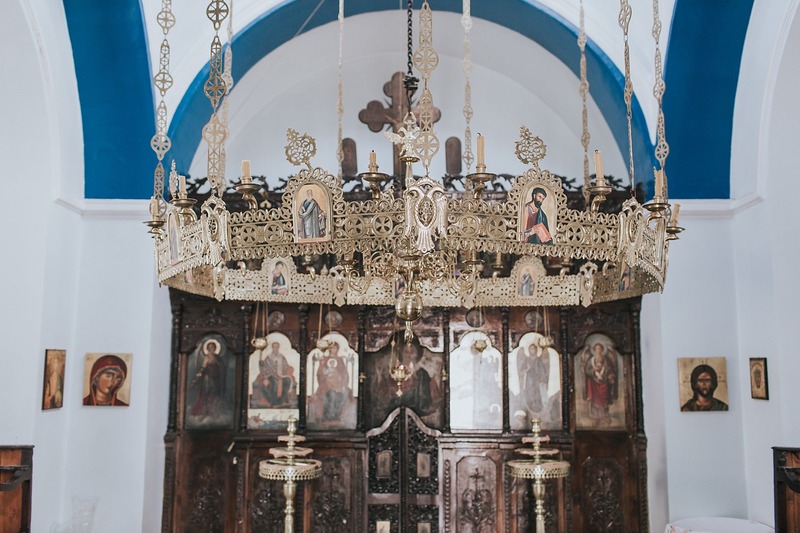 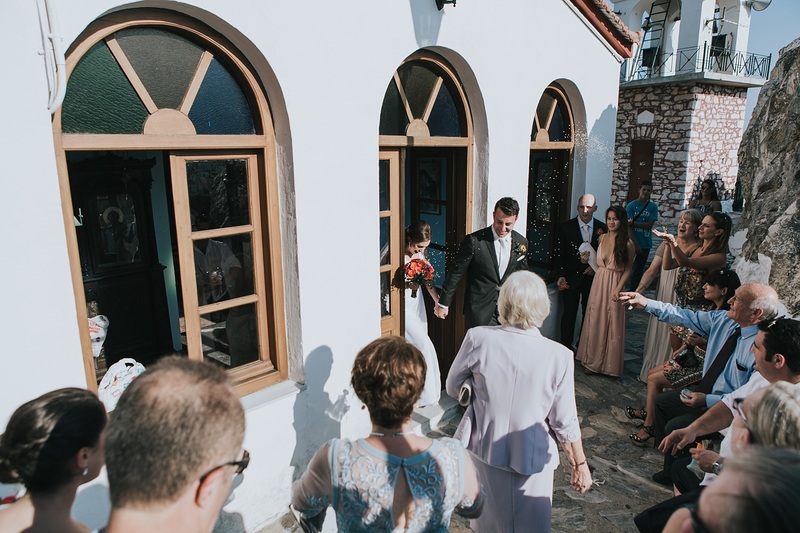 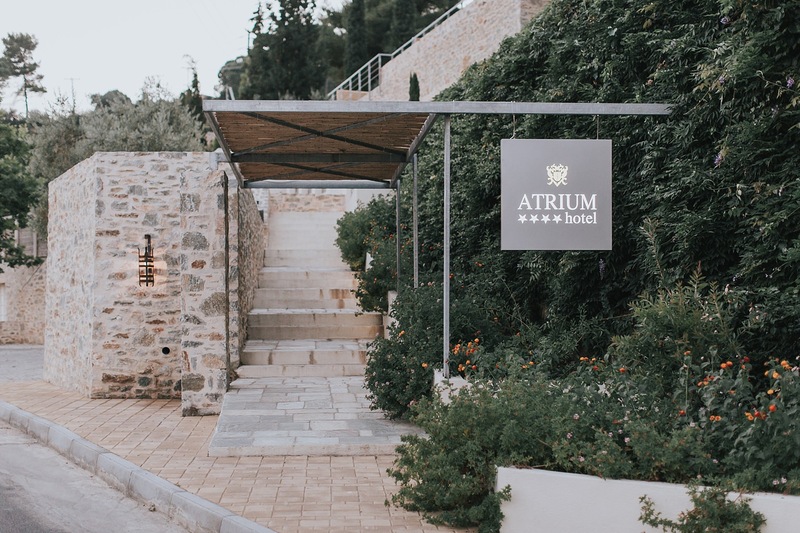 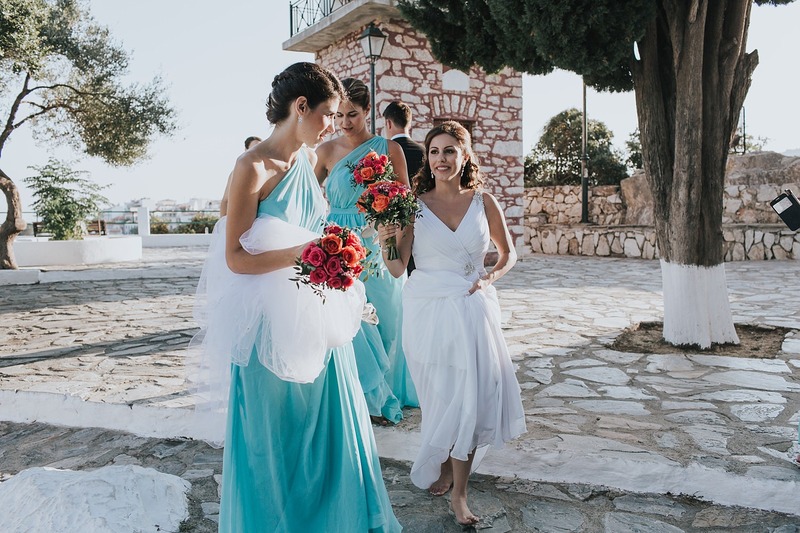 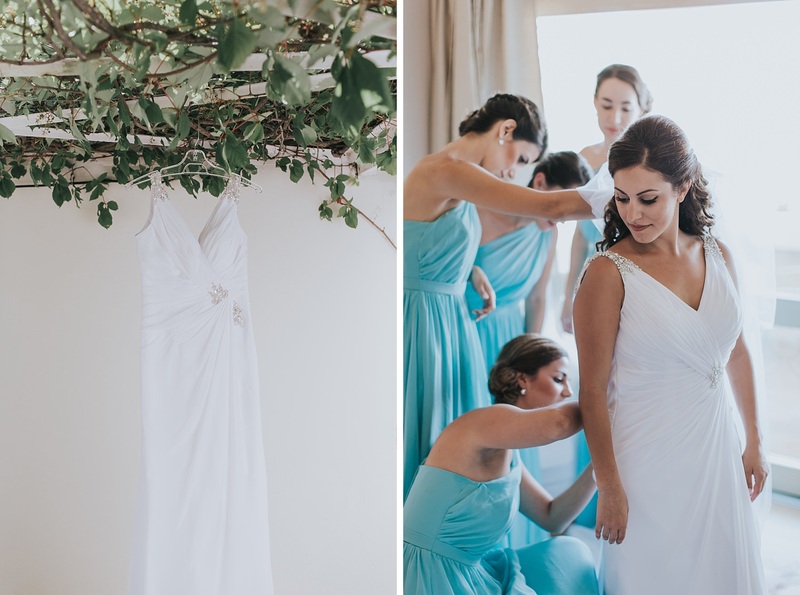 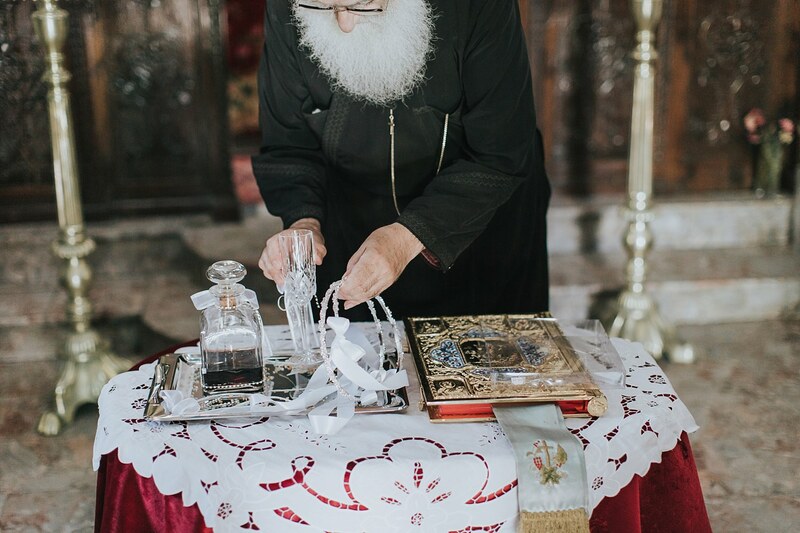 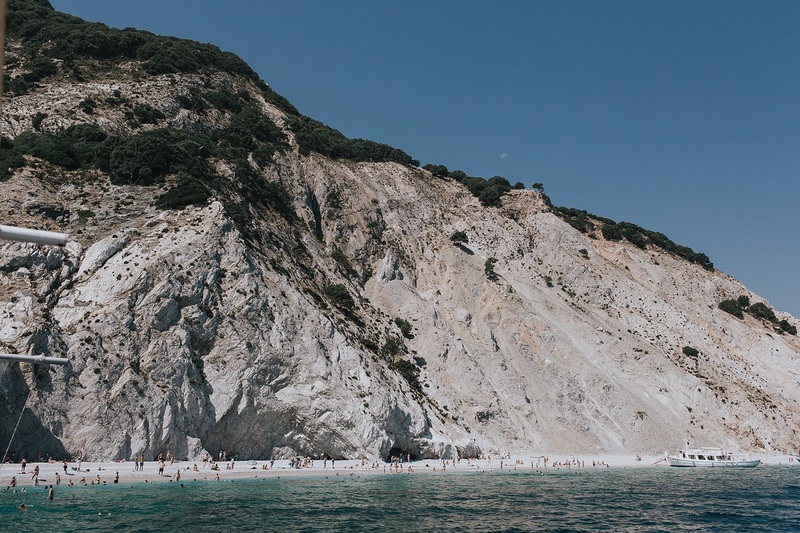 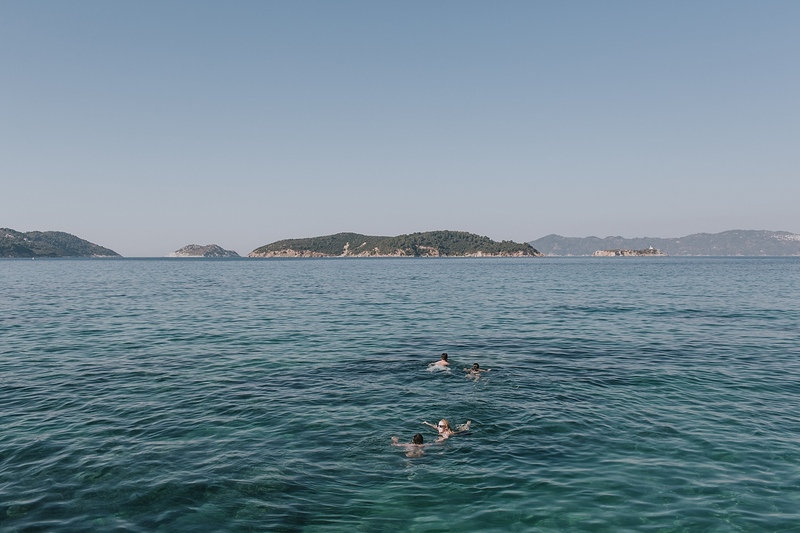 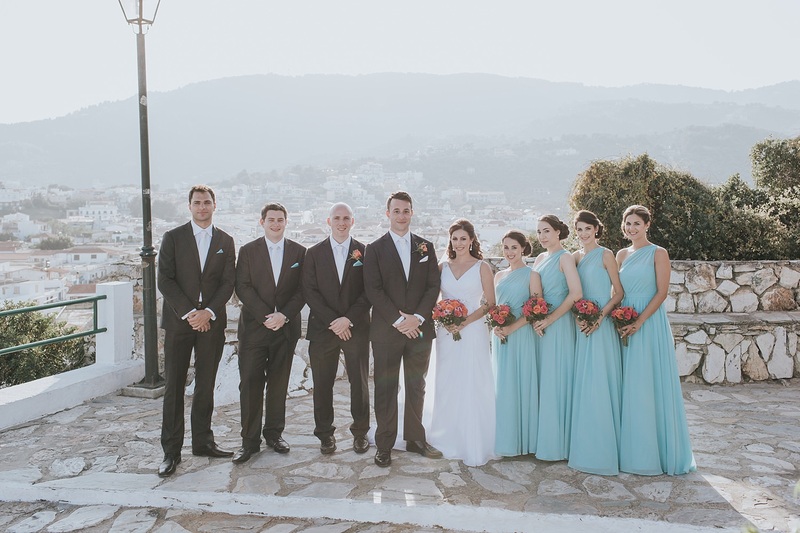 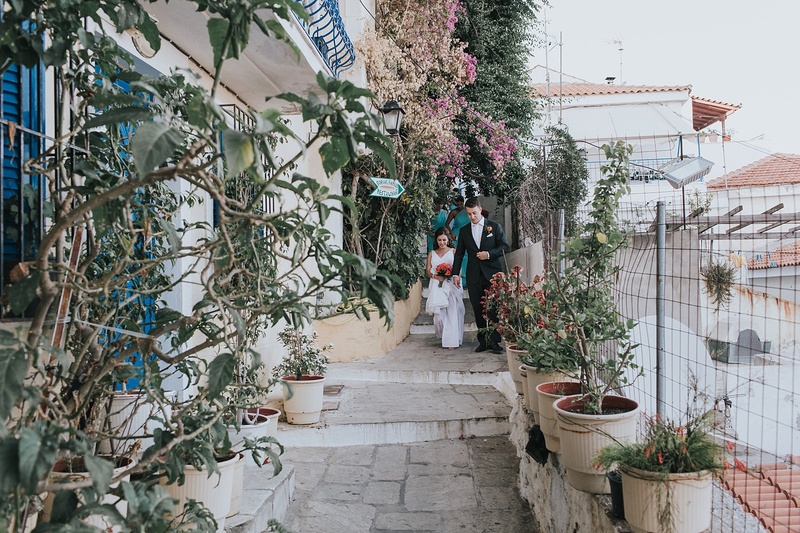 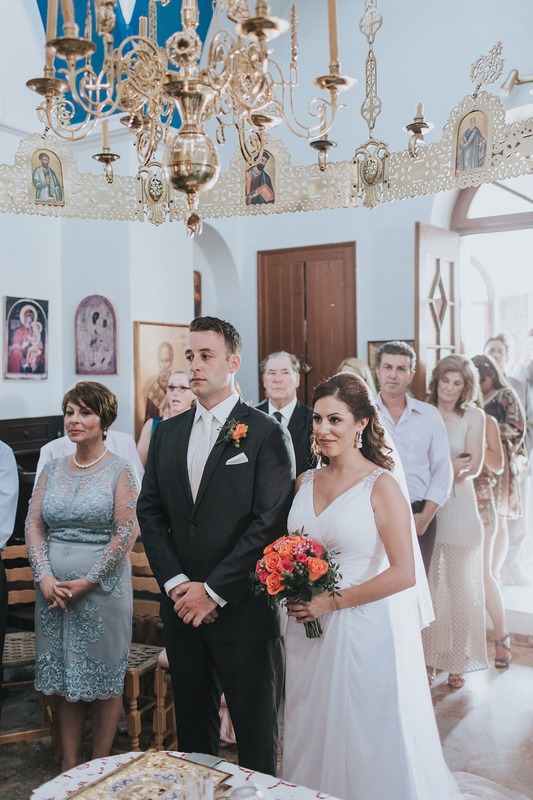 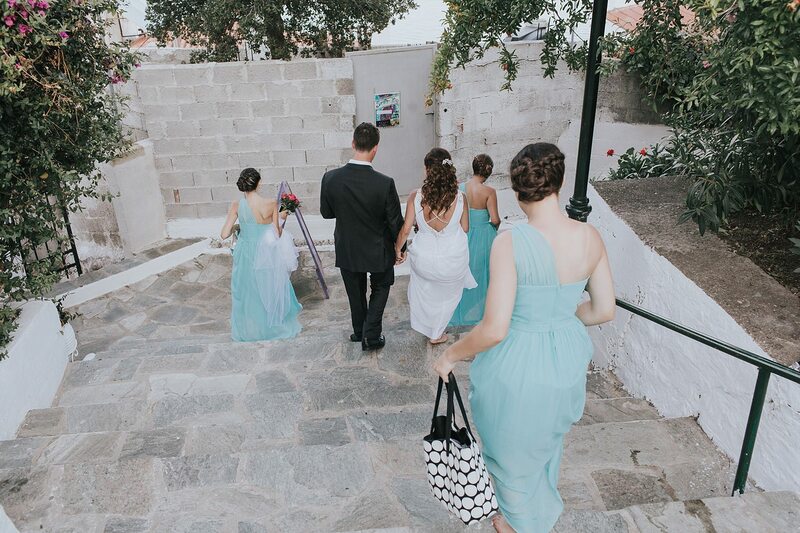 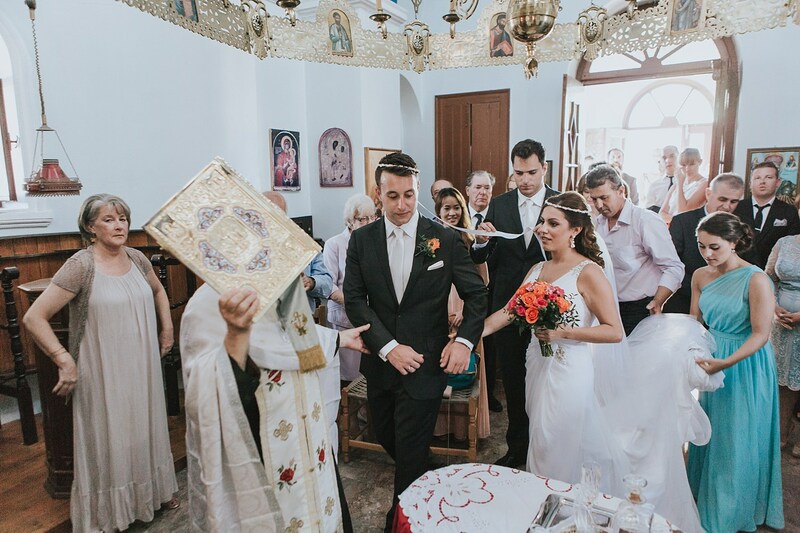 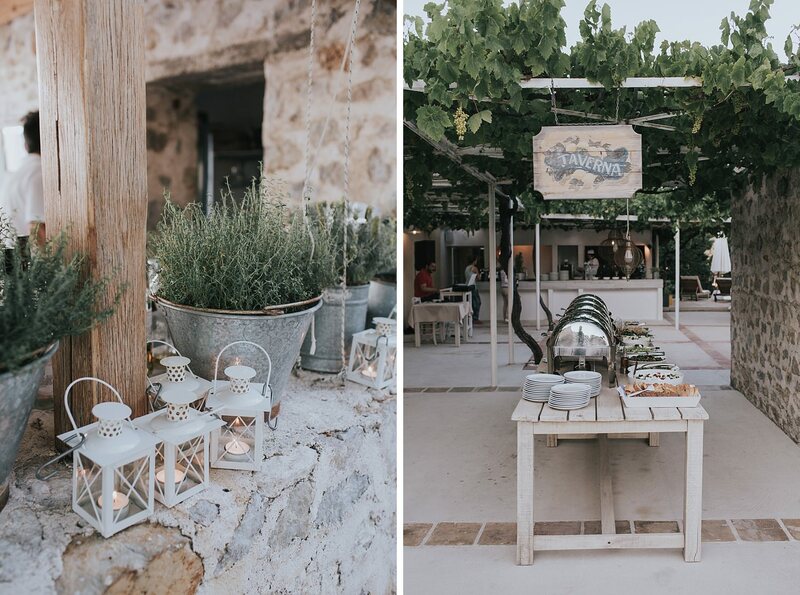 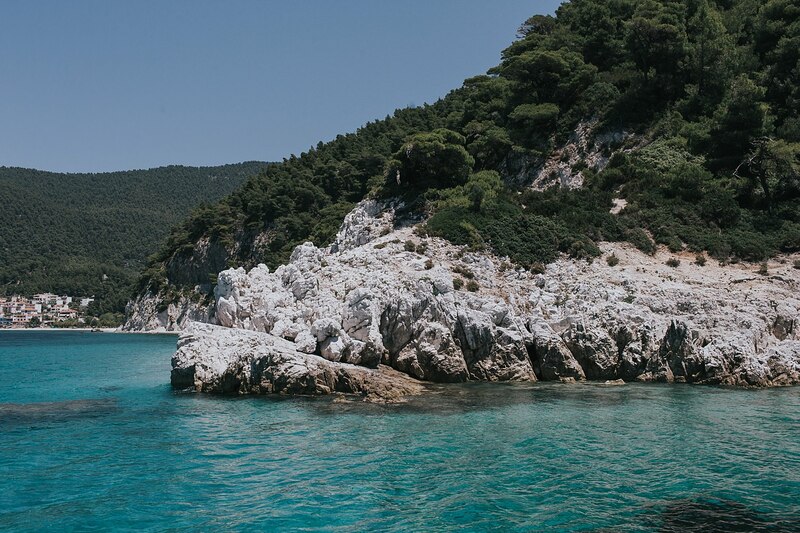 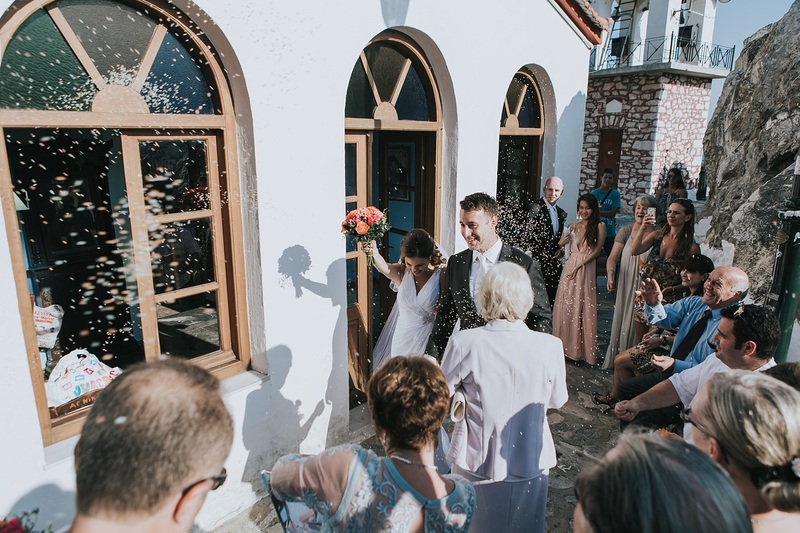 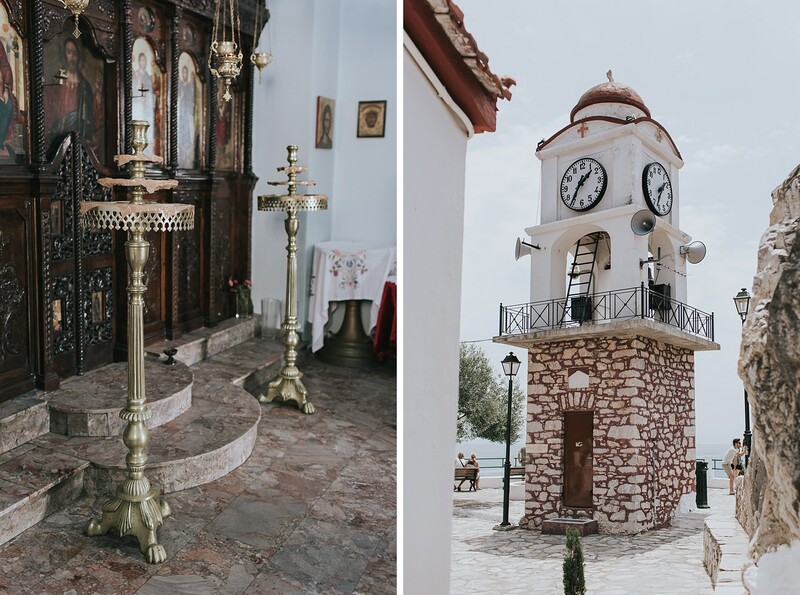 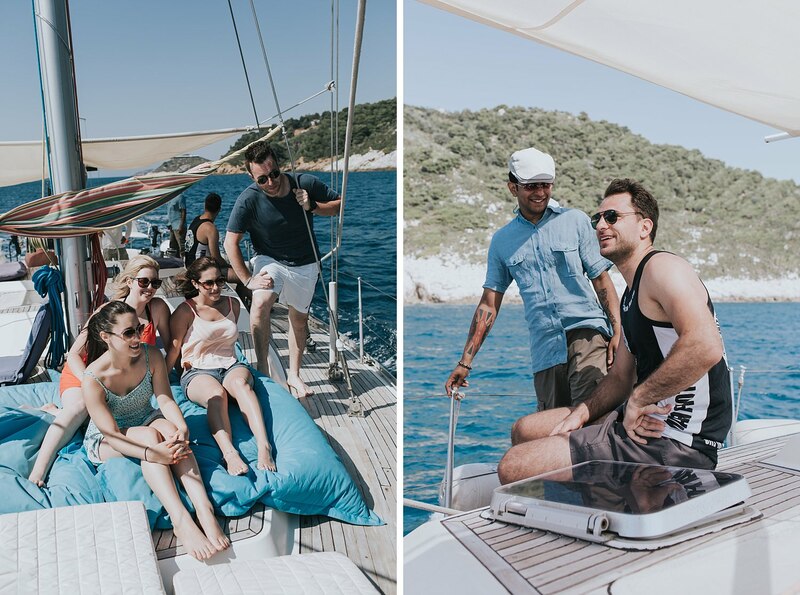 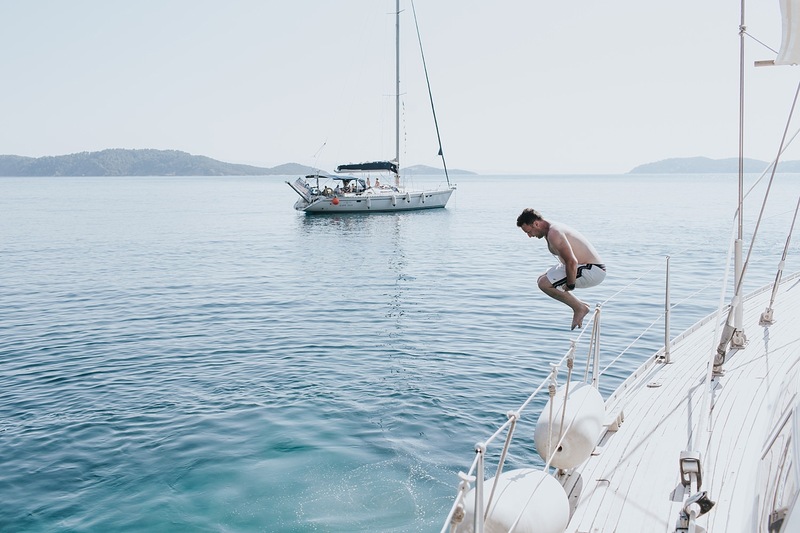 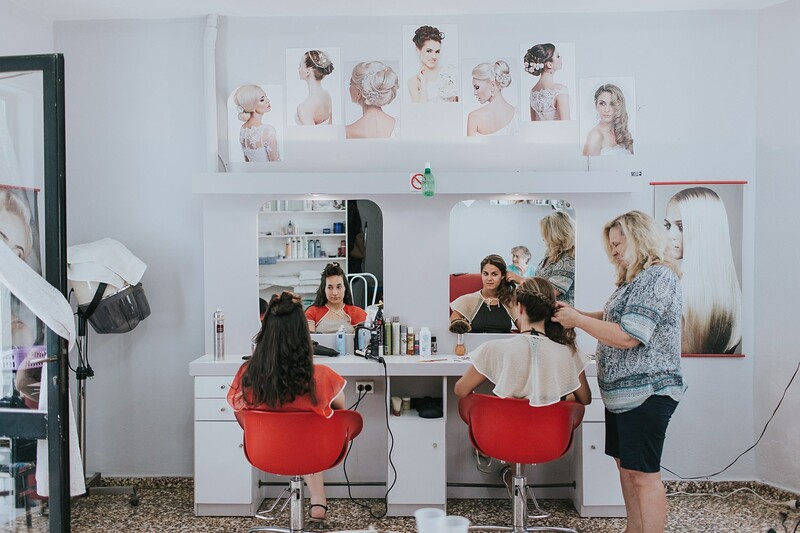 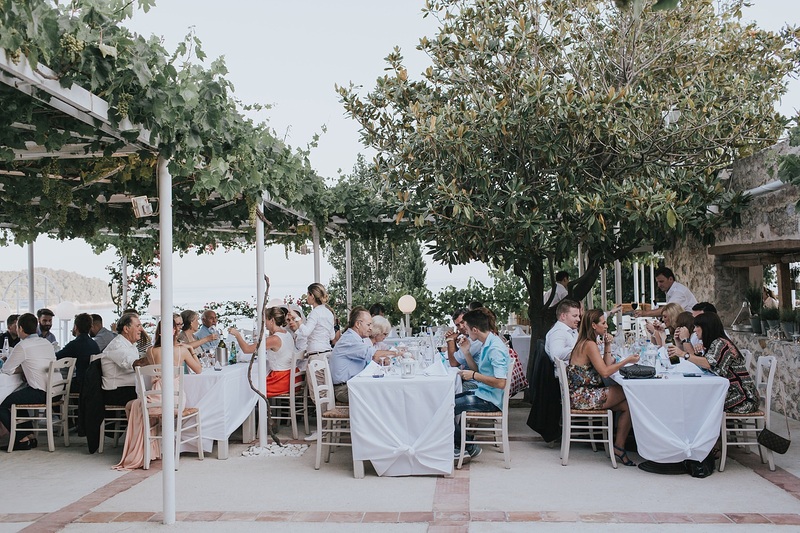 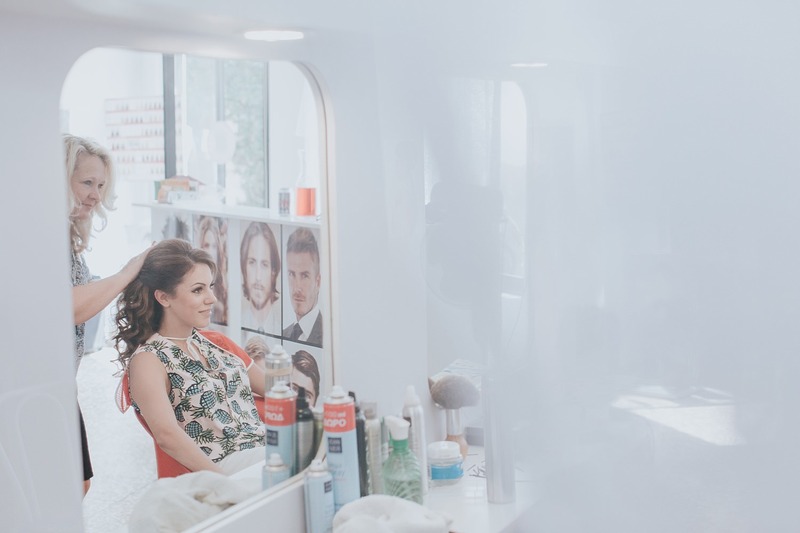 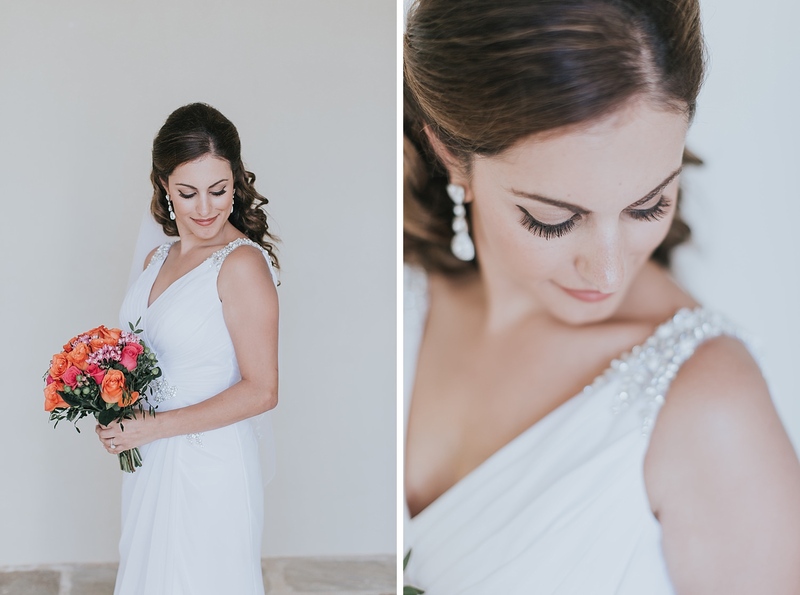 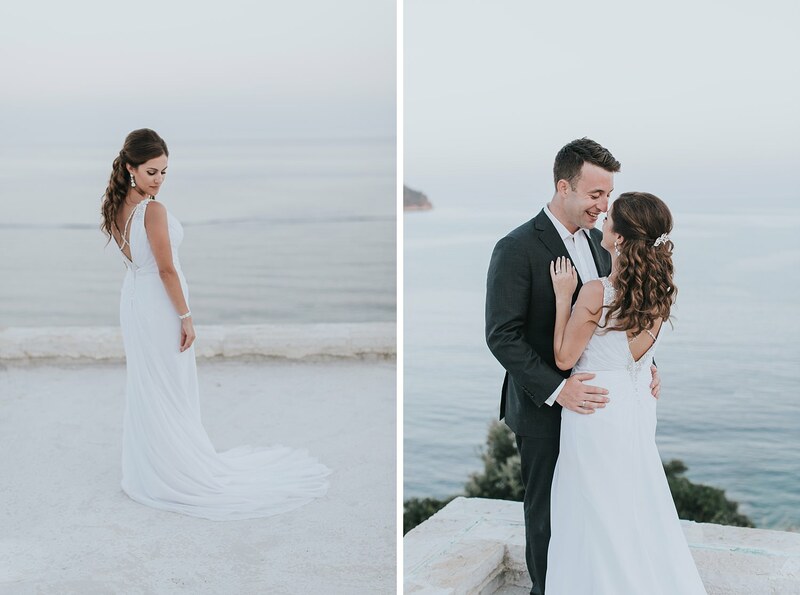 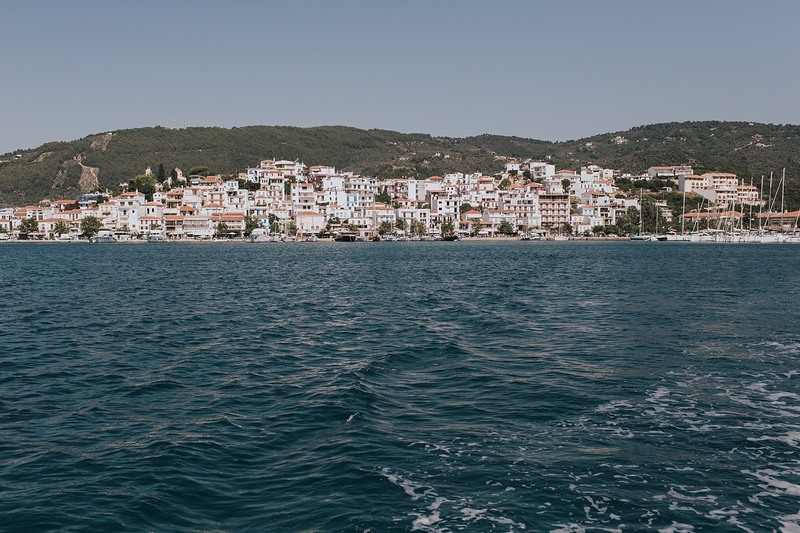 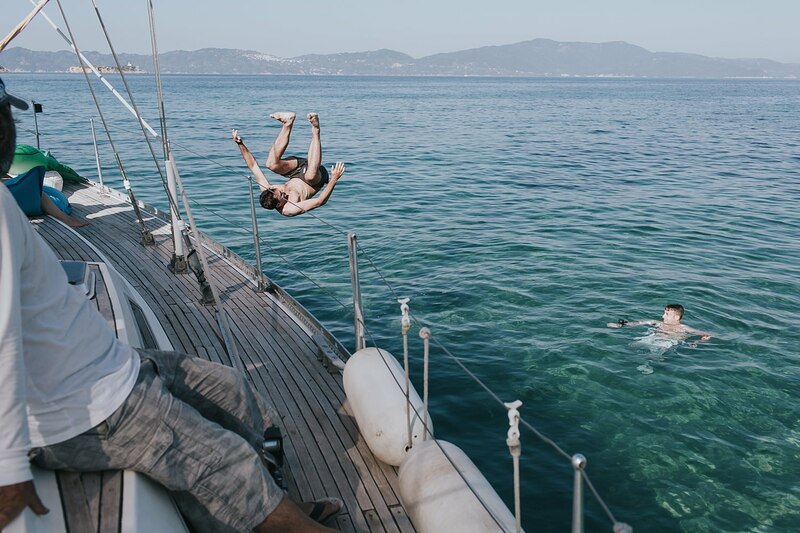 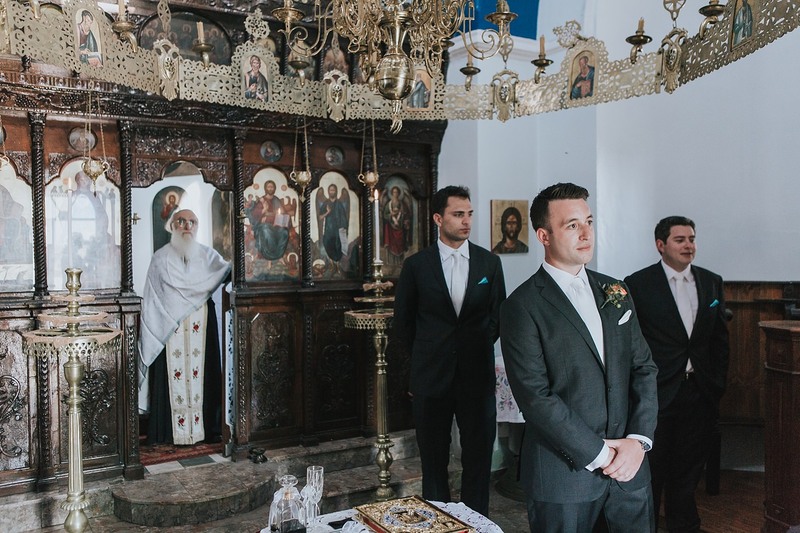 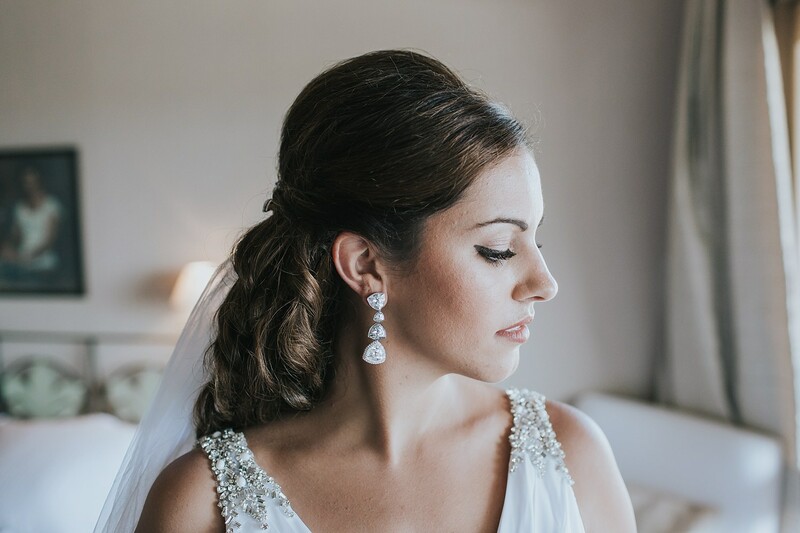 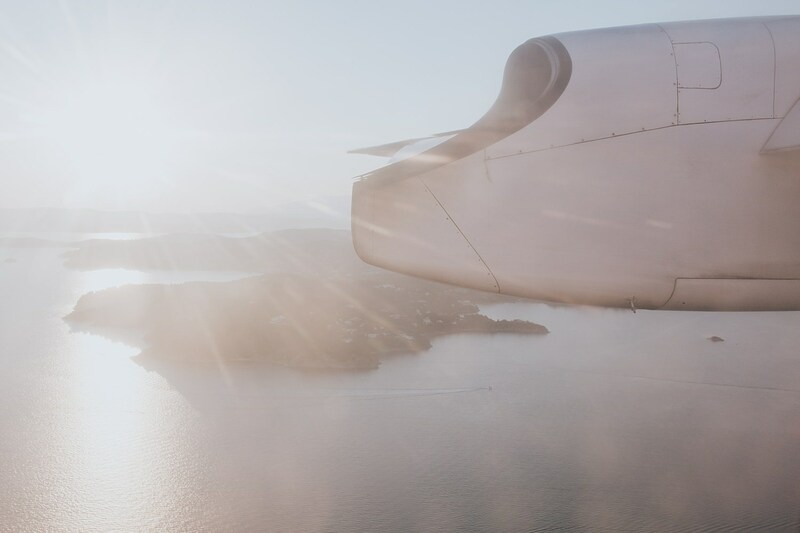 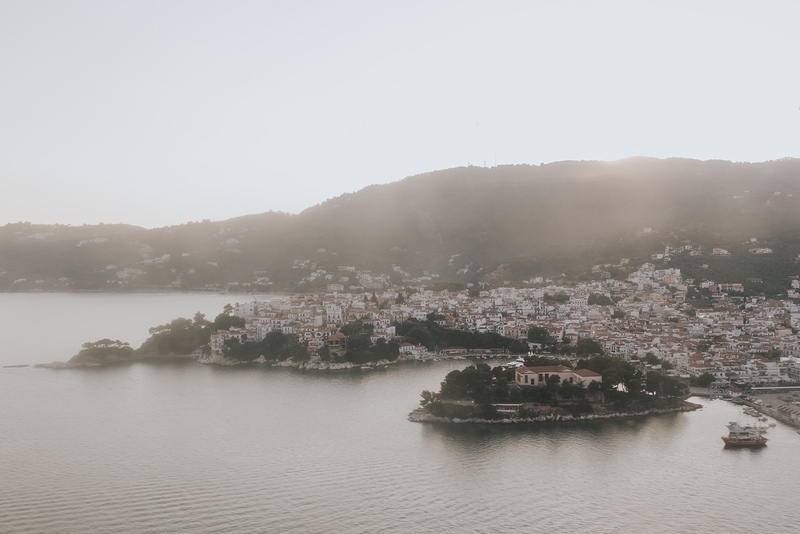 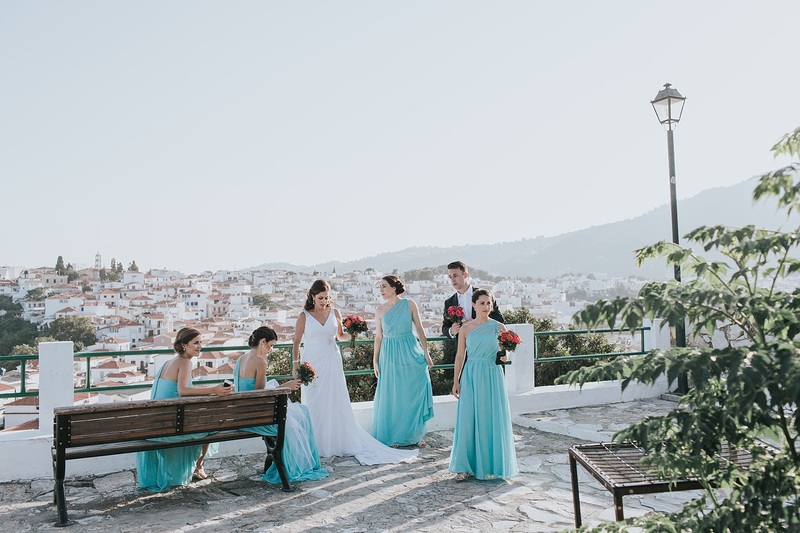 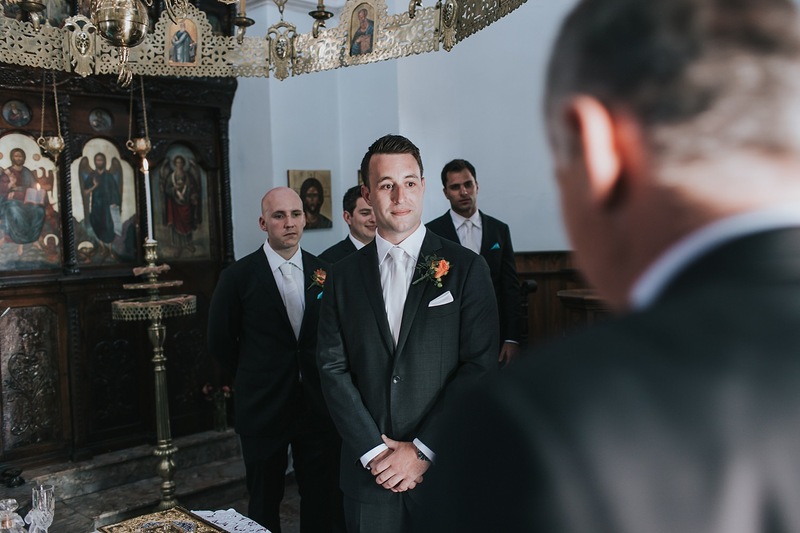 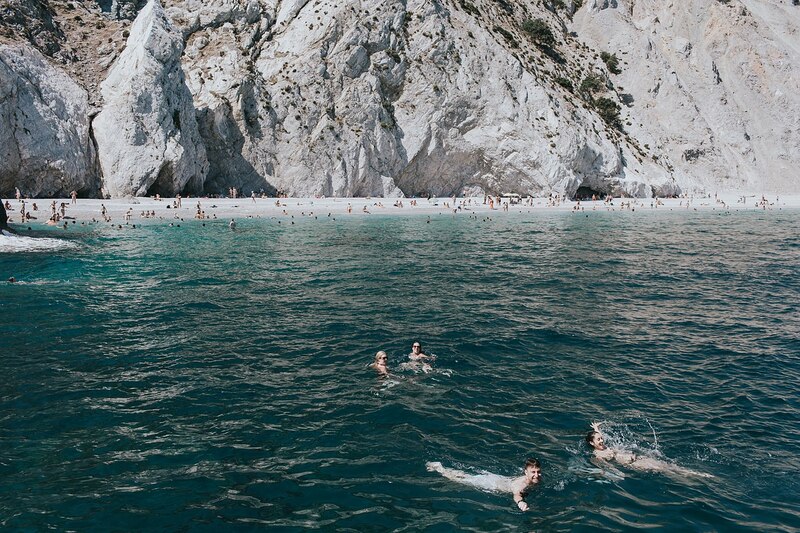 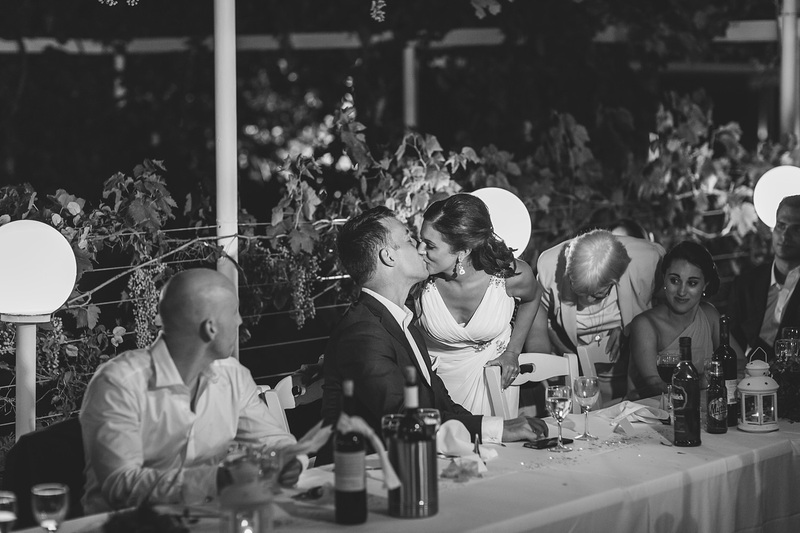 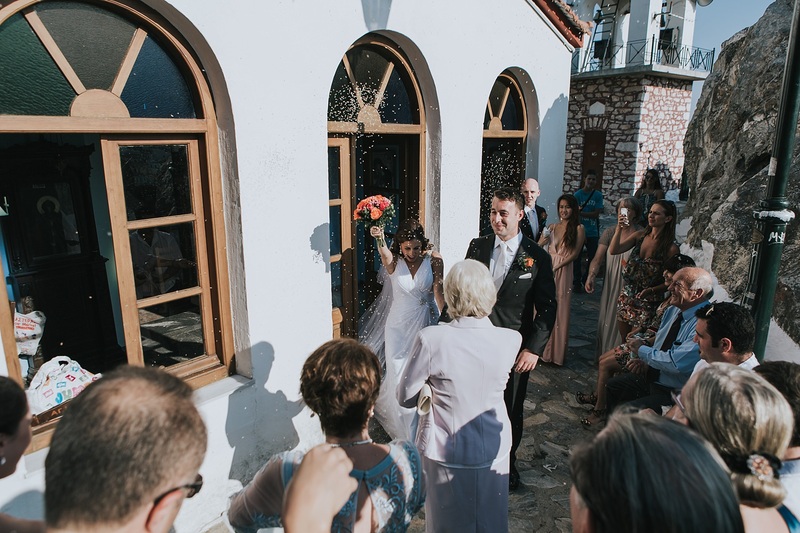 This Greek island wedding will, hands down, be one of the most memorable weddings of my career. 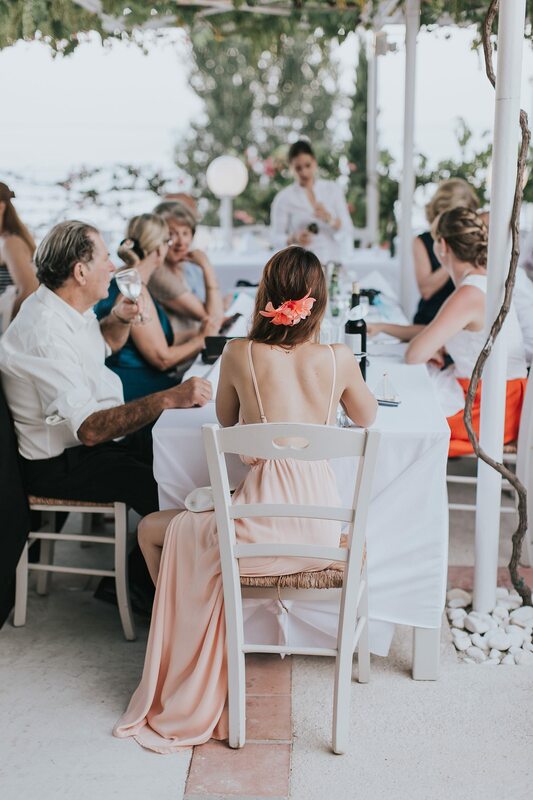 Not only because it was an incredible celebration in an exotic location, but because I came out of it with some amazing life-long friendships. 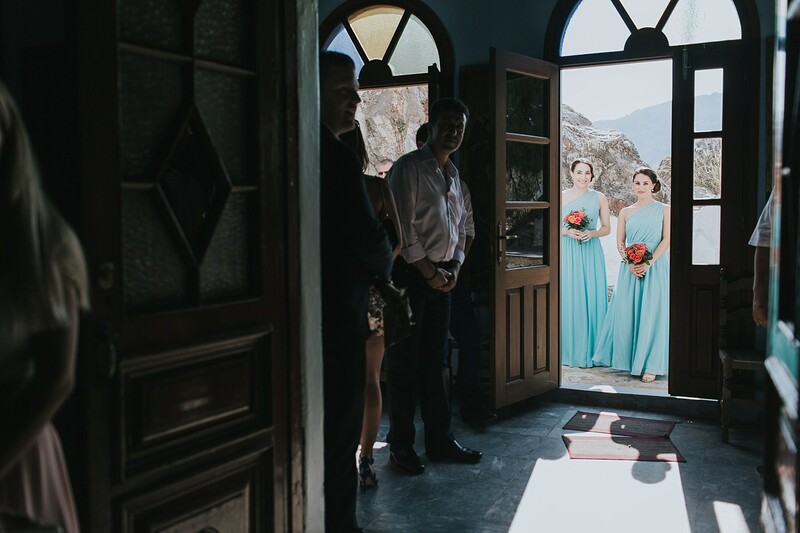 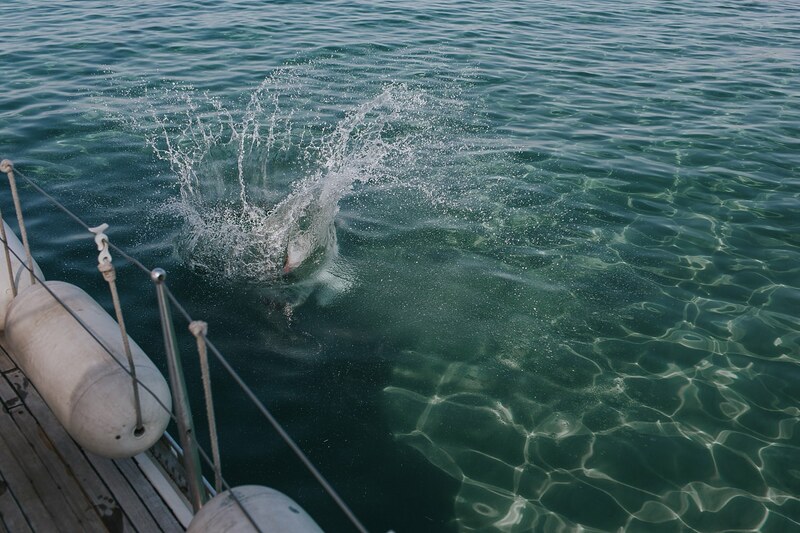 The lead up to the big day (and the days afterwards) were full of some crazy adventures – some good, some amazing and some just outright weird. 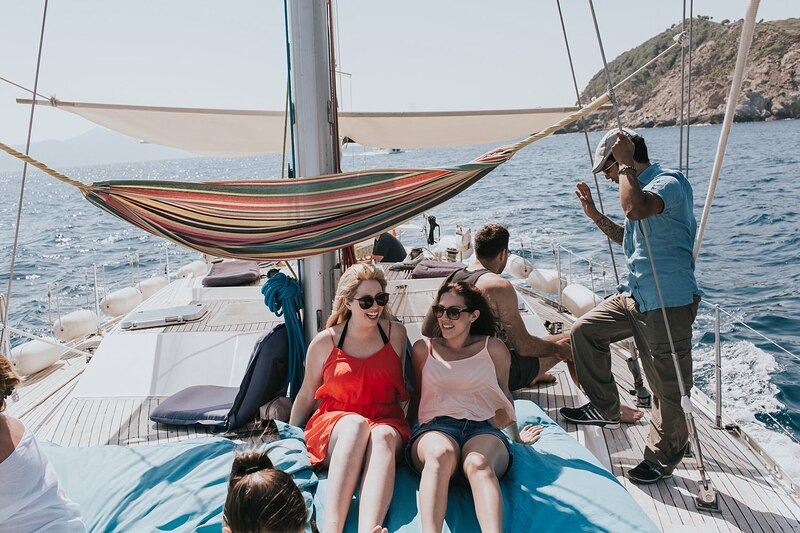 Sailing, partying, laying on the beach, getting stranded on a dirt road in 30 degree heat because our buggy broke down and the list goes on. 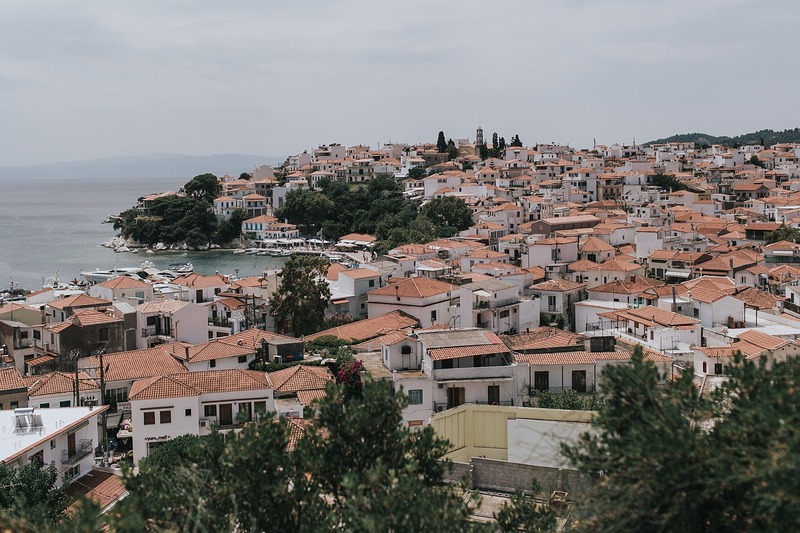 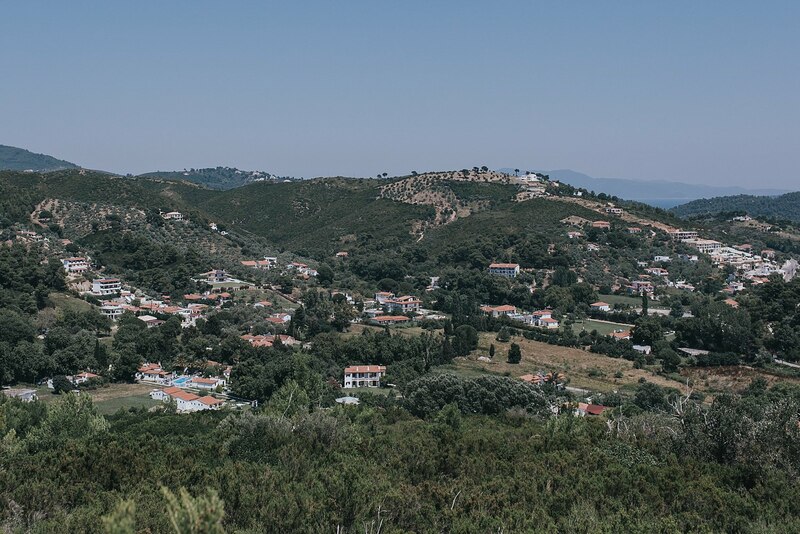 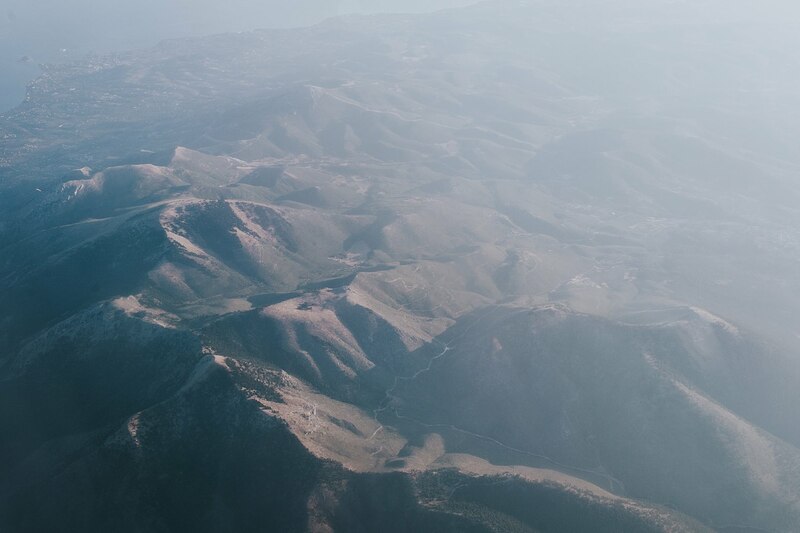 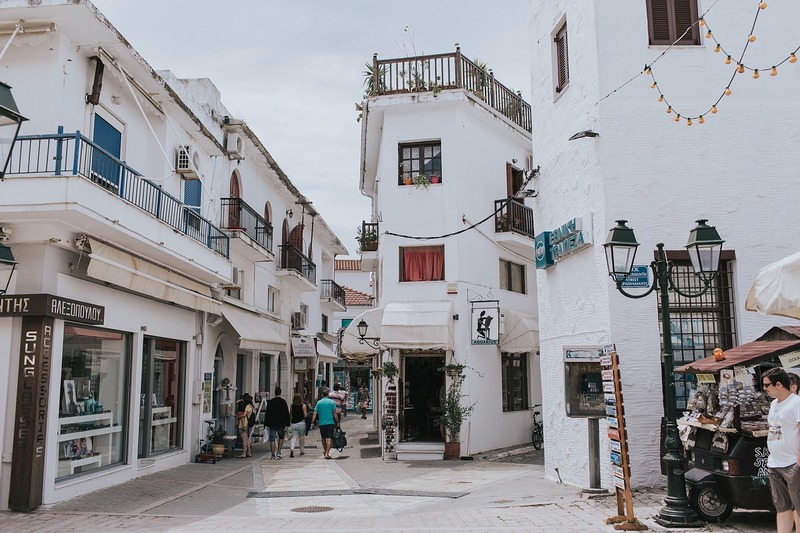 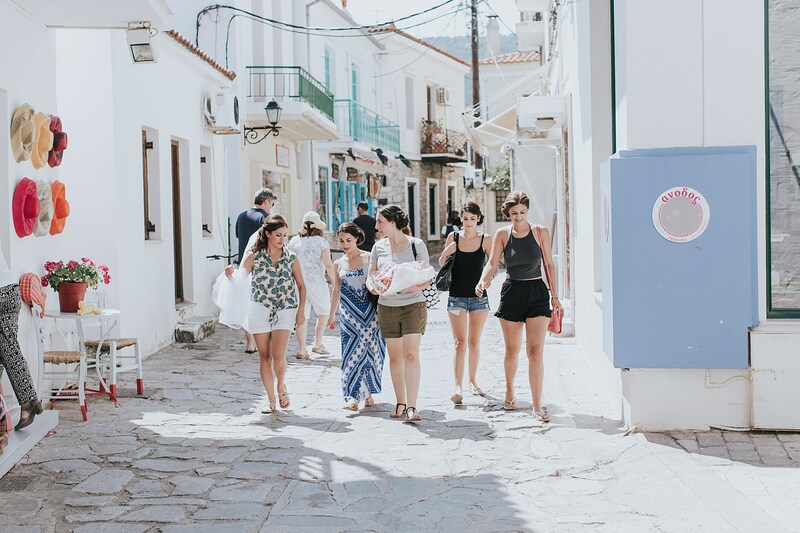 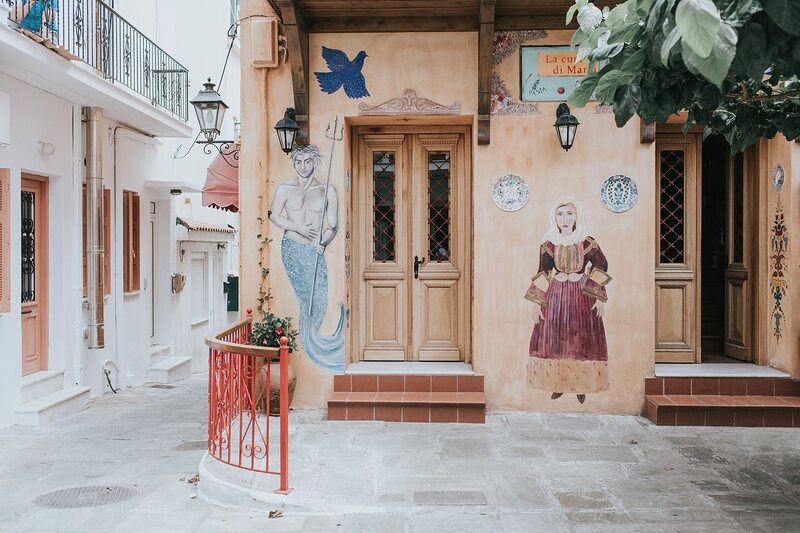 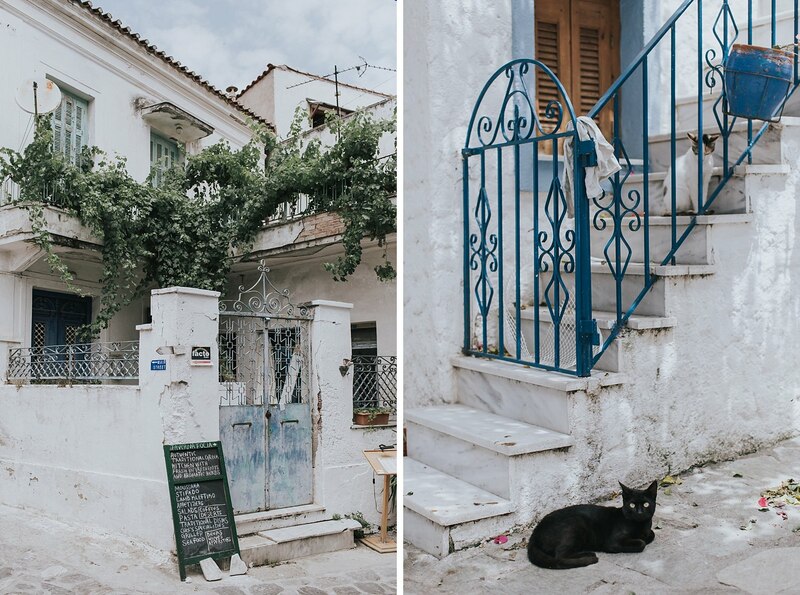 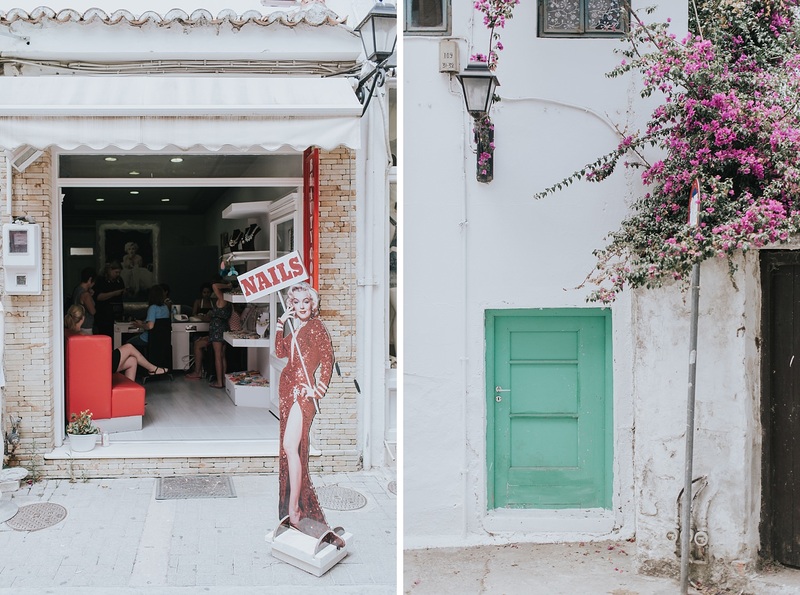 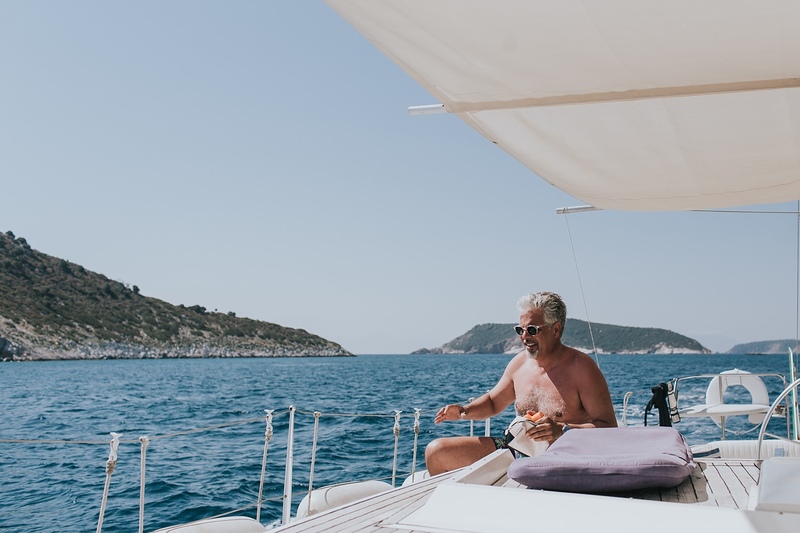 It’s a shame to see the economic struggles that Greece has been through in recent times, because it is truly a beautiful country so rich in tradition and culture. 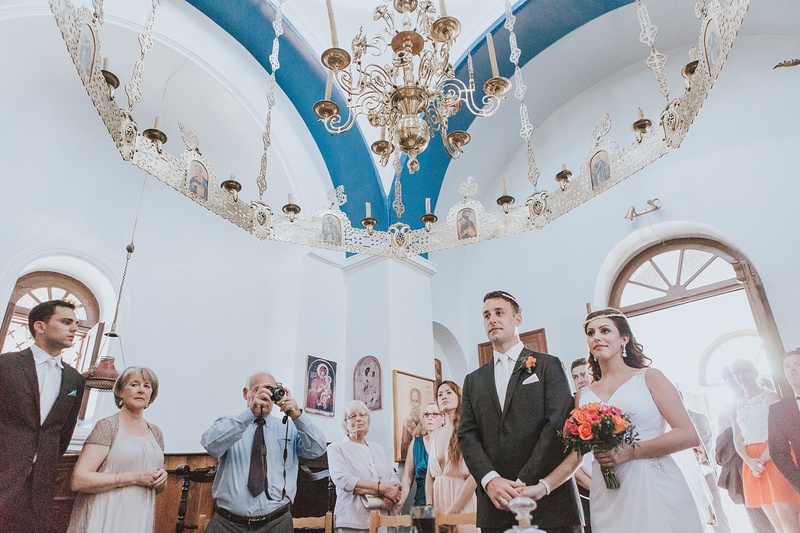 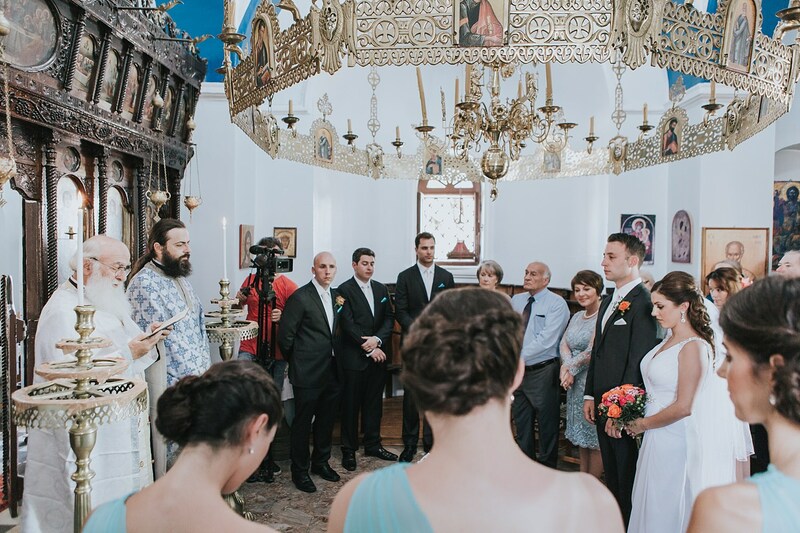 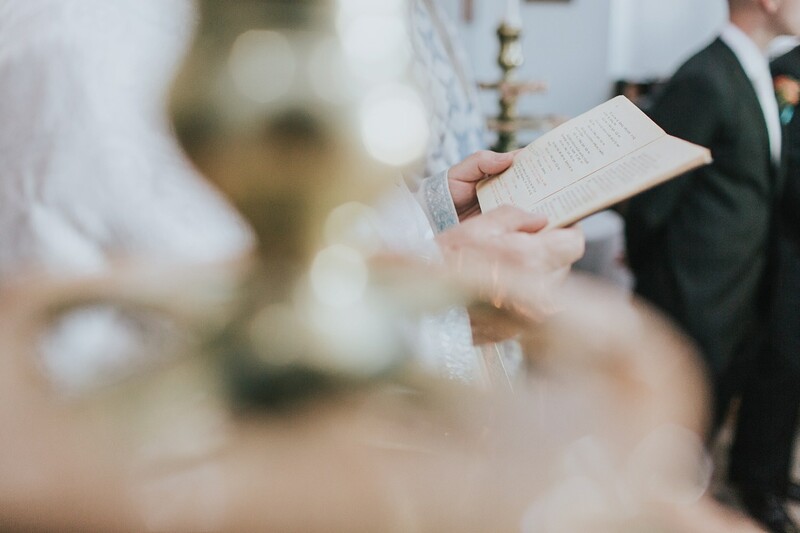 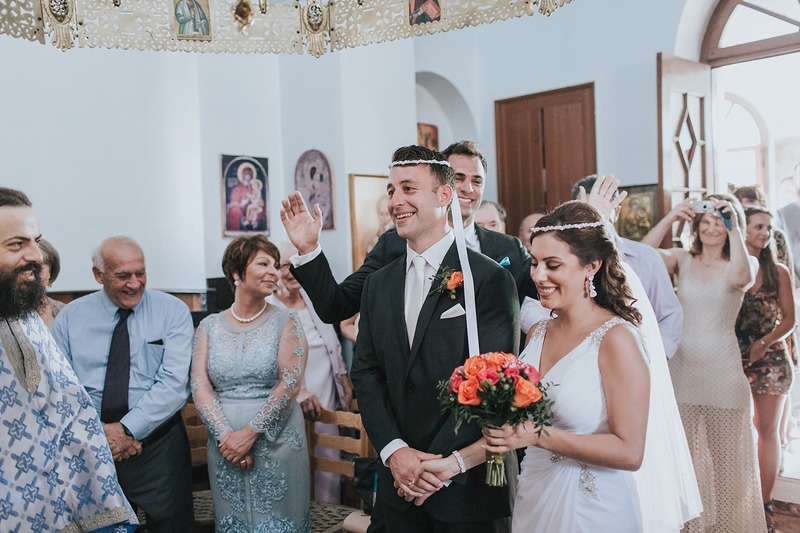 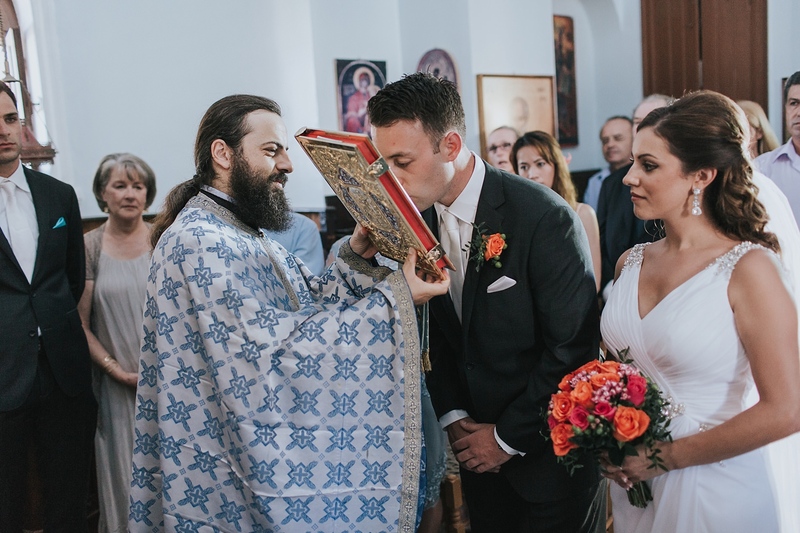 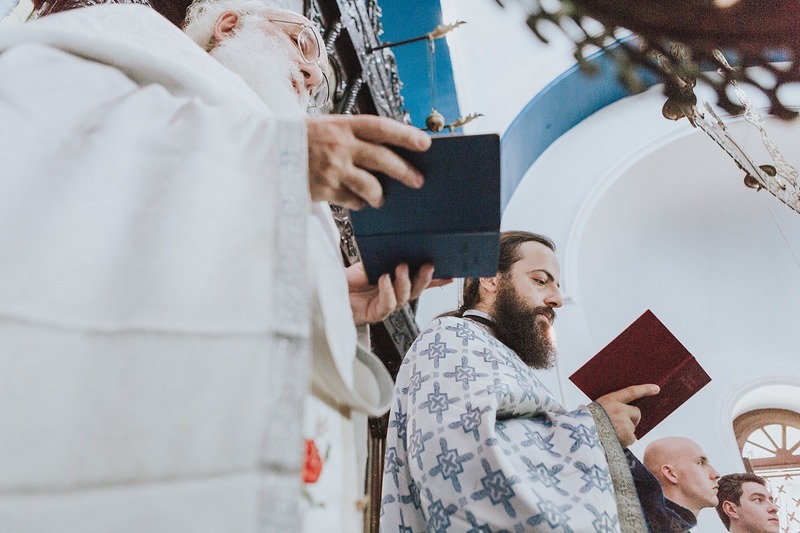 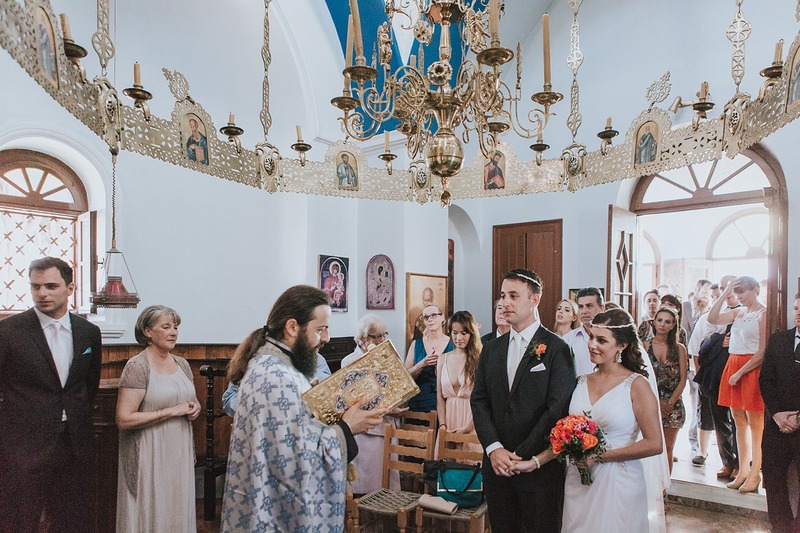 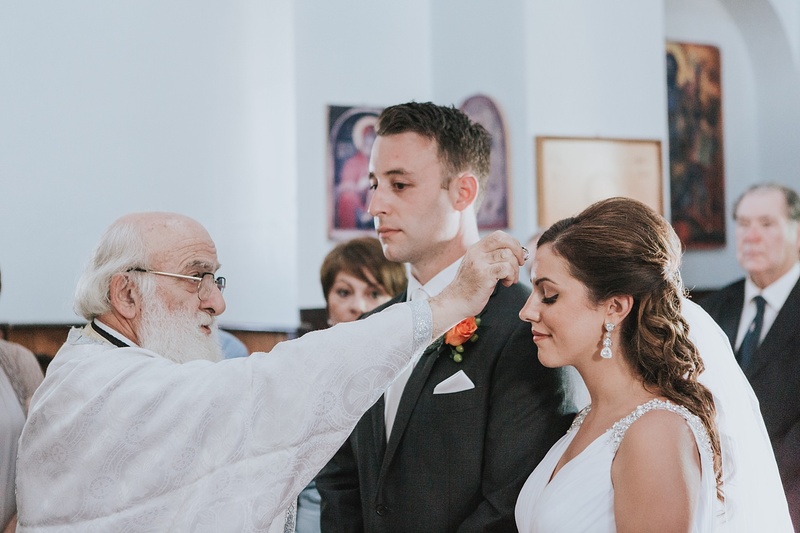 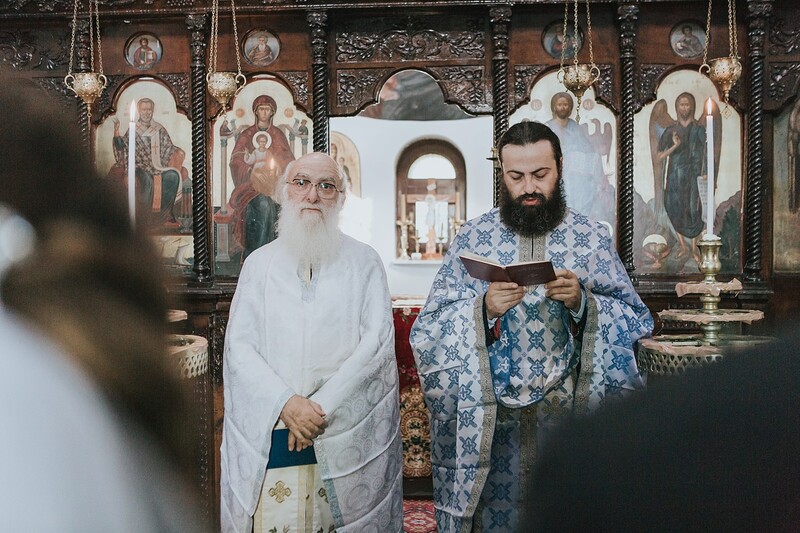 Adding to the authenticity, their wedding ceremony was completely in Ancient Greek – mind blowing to listen to and with rituals completely mesmerising to watch. 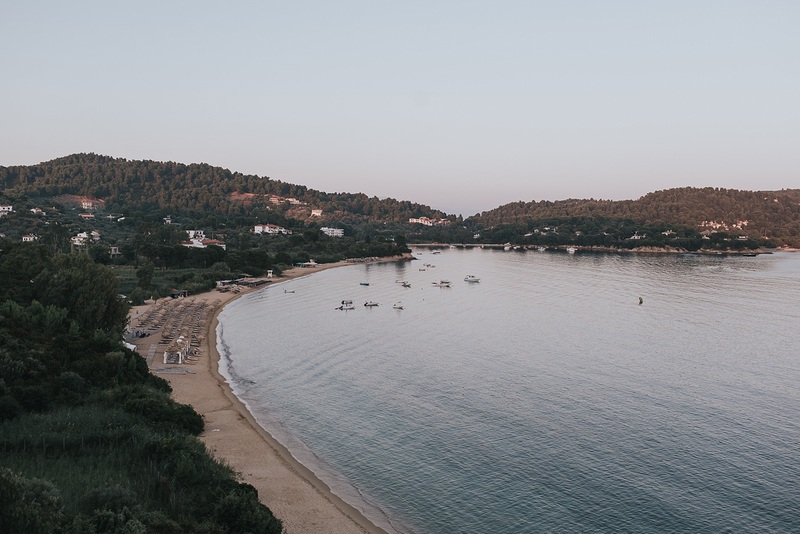 And the sunsets….. ohhhh, the sunsets. 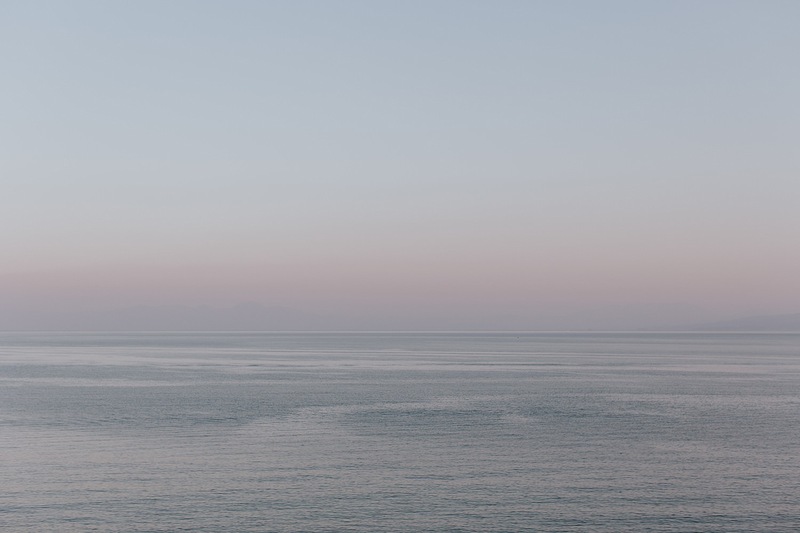 No words in the English language (nor in Anicent Greek I bet) can do justice in describing the ethereal interplay of colour in the divine sunset sky. 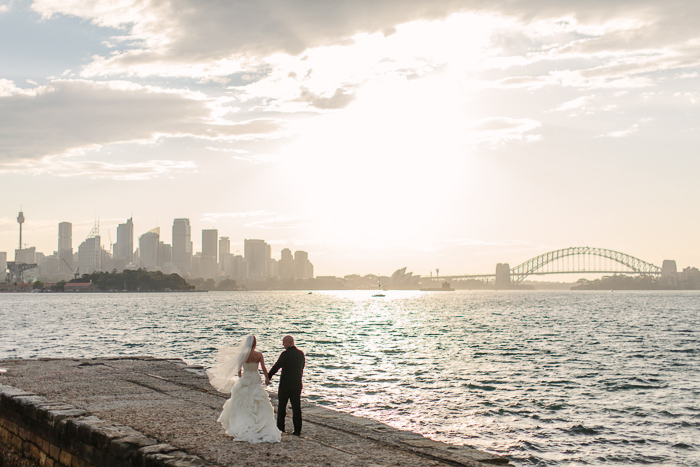 We managed to break onto someone’s private property for sunset and I’m pretty sure Tash & Dimi are thankful we did. 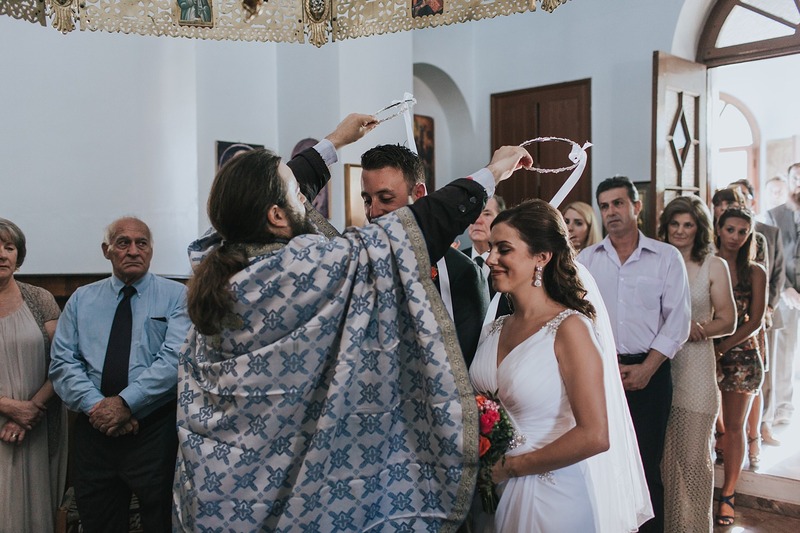 Happy One Year Anniversary my friends, let’s do it all again!